This thread is for writing tips from your favourite author/s. I was lucky enough to see Isobelle while she was home and also to be part of a webinar with Sean Williams. Here is some of the advice they offered. Isobelle: Be passionate about what you are writing. Choose a subject you are passionate about otherwise you will get bored. Tell your story aloud to at least three different people. This will not only give you their reactions, but you will discover more about the story with each telling. 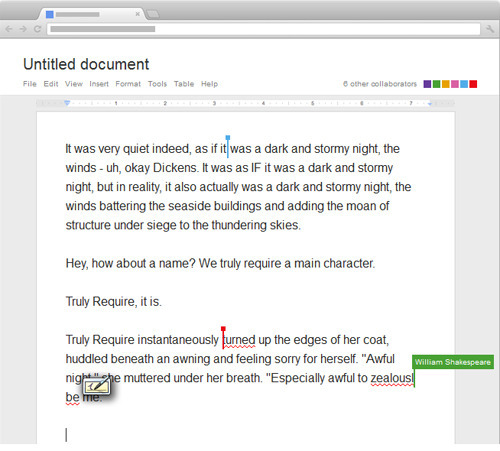 when working on second and subsequent drafts, change the font, font size and colour of the writing. This will give it a fresh look and enable you to pick up errors easier. When choosing names for characters, make sure it sounds good in your head and looks good on the page. use poetry in spelling and have symbolic meanings. If you have fun with the name, you won't get sick of it. Try writing in an existing universe. get ideas from editors, friends and family to help make the work better. Ooh that first one from Sean Williams is a really good idea. I must try that. Thanks for these, Deb. I thought that was good too. Am going to try it with my next uni assignment. Not exactly advice for writing per se, but I've always loved this article by Neil Gaiman concerning writers. It's relevant still, I think, because waiting for books is something we Obernetters are well accostomed to. Just scroll down past the random stuff at the top and get to the BOLDED letter part of the blog. XD I love the Neil Gaimen article. The following was originally from Kristin Cashore's blog (author of Graceling, Fire, and Bitterblue). It was a post called Some Tips if you're revising (click to see full post), but I think these last two apply to writing as well. As you begin to rewrite [or write], focus on plot and character and forget about The Greater Meaning. I've been running into some snafus with my current revision, because in addition to trying to sort out the appropriate plot structure and how it affects character development, I've been thinking a lot about themes. What are the themes of this book? What does it all mean? This can be a death trap for your manuscript, seriously. It's possible to get trapped in a vortex of themes, it's possible for your themes to start being the boss of your revision, and what happens then is that the believability of your characters and the oomph of your plot begin to suffer. Forget about what the book means. Think about plot and character; use your plot to tell a compelling tale; use your plot to reveal your characters; use your plot to change your characters. I promise that if you do this, themes will arise. Might they be messy? Yes, they might, but (I hate to tell you this, but) this will probably not be your final revision. Once your characters and plot are carrying this manuscript, you can go back to poke and prod a little bit at the other stuff, including stuff having to do with themes. Remember that this feeling will pass. Writing is going to create a lot of uncomfortable feelings for you. In my experience, one of the most uncomfortable feelings is, "I can't figure out how to fix this." I think one of the reasons that's so uncomfortable is that it's only the tiniest step away from, "I will never figure out how to fix this." But you will. If you keep facing it, then getting distance, then facing it, then getting distance, then facing it again, you'll figure it out. This unsettled feeling will not last forever. I promise. There are so many different kinds of writing and so many ways to work that the only rule is this: do what works. Almost everything has been tried and found to succeed for somebody. The methods, even the idea of successful writers contradict each other in a most heartening way, and the only element I find common to all successful writers is persistence - an overwhelming determination to succeed. Phlegm, phlegmatic, [censored], glass, bass. Hey Sionainn, keep posting. I enjoy reading these and will post when I find something to share. Kidnapped by a reformed Sith Lord named Halina. Send Help! And because I liked it so much that I bookmarked it....here is a little gem I use to remind myself why I write. Not actually sure where to put this, so I'll just stick it in here because, well it's sort of quoting authors. Anyway, GoogleDocs has created this funny little program that allows you to collaborate with famous writers and thinkers such as Nietzsche, Shakespeare, Dostoyevsky, Dickinson, Dickens and Poe! You just start typing away and they appear along with you and write and delete your words and also sorts of things. I just tried asking Shakespeare is he were gay and he edited to read 'the handsome and lovely Shakespeare' which was then edited by Poe to read 'the dreadful and lonely Shakespeare'. Oh that is a very interesting demo. It's not exactly helpful, as Edgar Allan Poe decided to change the name of one of my characters, and then Shakespeare also put in zealously before 'be a different walk'. What are you thinking Shakespeare? Definitely not helpful. Shakespeare keeps insisting on switching everything to ye olde english, and Poe really likes sad faces :( Dickens and Dickinson are now fighting over whose name is being written though, so that is amusing. Haha, brilliant. I'm going to be spending much time using this, I can tell. Poe keeps changing all my colours to black and Dickens insists that his name is actually Oliver Twist. :P Not entirely helpful but amusing to pass the time. Stopping a piece of work just because it is hard, either emotionally or imaginatively, is a bad idea. Sometimes you have to go on when you don't feel like it and sometimes you're doing good work when it feels like all you're managing to do is shovel [censored] from a sitting position.